(Gilbert, AZ) – Today, conservative business leader Christine Jones officially announced her candidacy for the Republican nomination in Arizona’s fifth Congressional District. “The voters are tired of politicians who make big promises and fail to deliver. That needs to change. Unlike career politicians, I don’t just talk about what needs to be done…I do it,” said Jones. As Executive Vice President of Go Daddy for more than 10 years, Christine Jones played an essential role in the creation of over 4,000 jobs, including more than 1,500 in the East Valley. She brings successful private sector business, technology, and policy-development experience to the table. 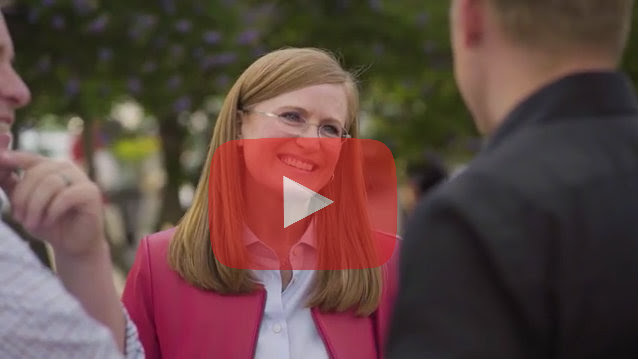 Be the first to comment on "Conservative Business Leader Christine Jones Announces Run For Congress"